Bronson is a regular in the Niumatalolo home. In fact, he’s often been found in the basement chilling with Ken’s 18-year-old son, Ali’i. “I just would laugh to myself and I’d tell my wife, ‘He’s such a great person, Bronson is. How many other third-round draft choices on the weekends are playing video games with an 18-year-old?’ You know, most of them are probably doing other things, but here’s Bronson,” Ken Niumatalolo said. 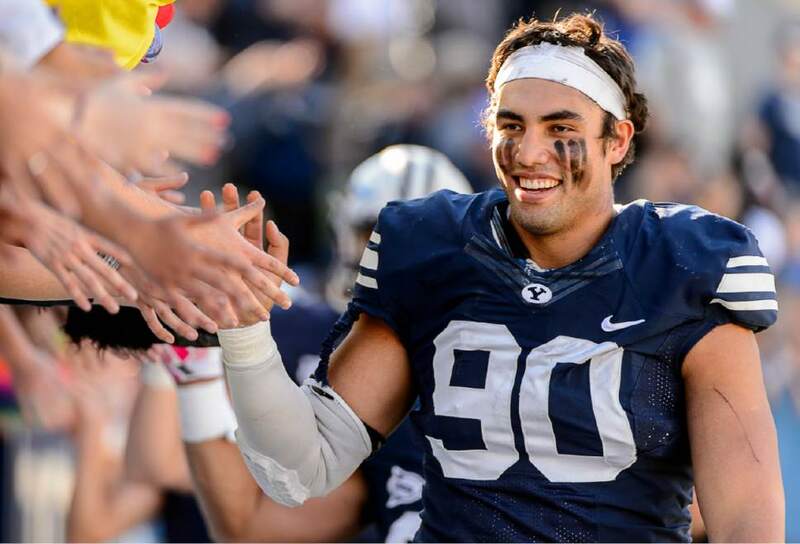 Kaufusi’s parents live in Utah where Steve, Bronson’s father, works as a linebackers coach for the Brigham Young University football team. 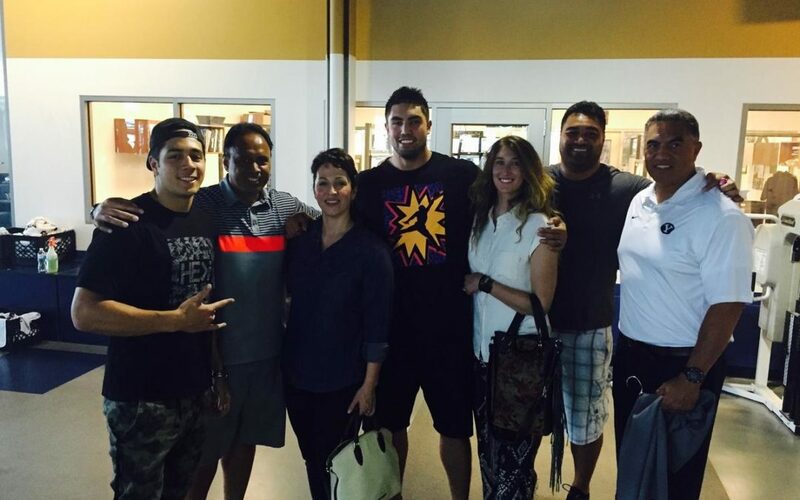 Bronson’s brother Corbin Kaufusi became good friends with Va’a Niumatalolo through their time as BYU footballers. Va’a found a home-away-from-home through Corbin, so it only felt natural for the Niumatalolo’s to adopt, in a similar way, Corbin’s brother Bronson when he moved to Maryland to play for the Baltimore Ravens. “When Bronson got drafted by the Ravens … we were fired up because we knew we were right here,” Ken Niumatalolo said. “We’re 30-40 minutes from Baltimore.” So that led to weekly dinners and the other stuff that comes in the package of a parent-child relationship. 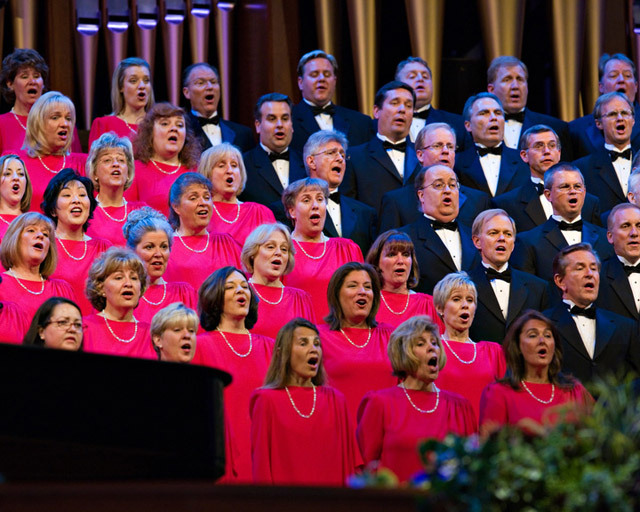 Ken and his wife Barbara regularly check in to see what they can do for Bronson and his wife Hilary. Bronson mentions how strongly he sees Ken as a father-figure. “It’s easy for me to gravitate toward him because he’s very similar to my dad — he’s really driven, very humble and is all about helping those around him,” Bronson Kaufusi said.